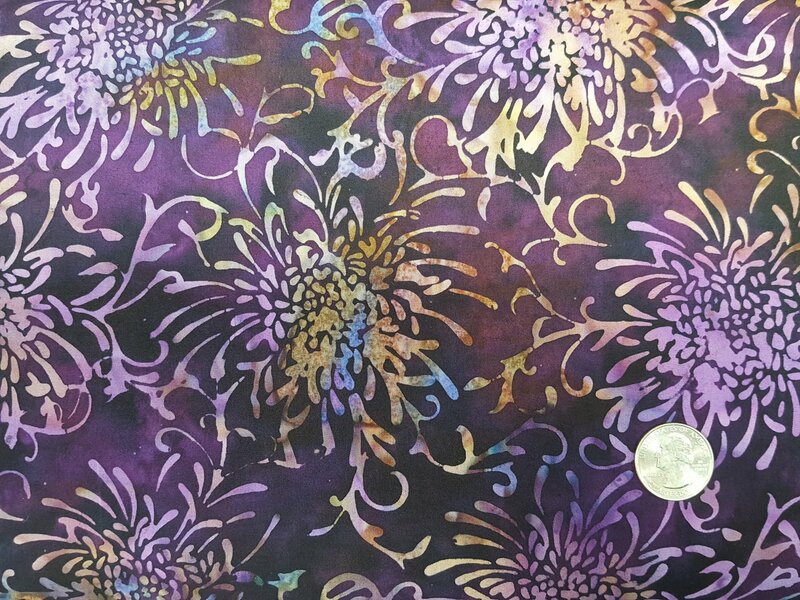 Purple batik with purple blue and green flowers. From the Bali Batiks collection from Hoffman Fabrics. 100% cotton. 43"-44" wide.